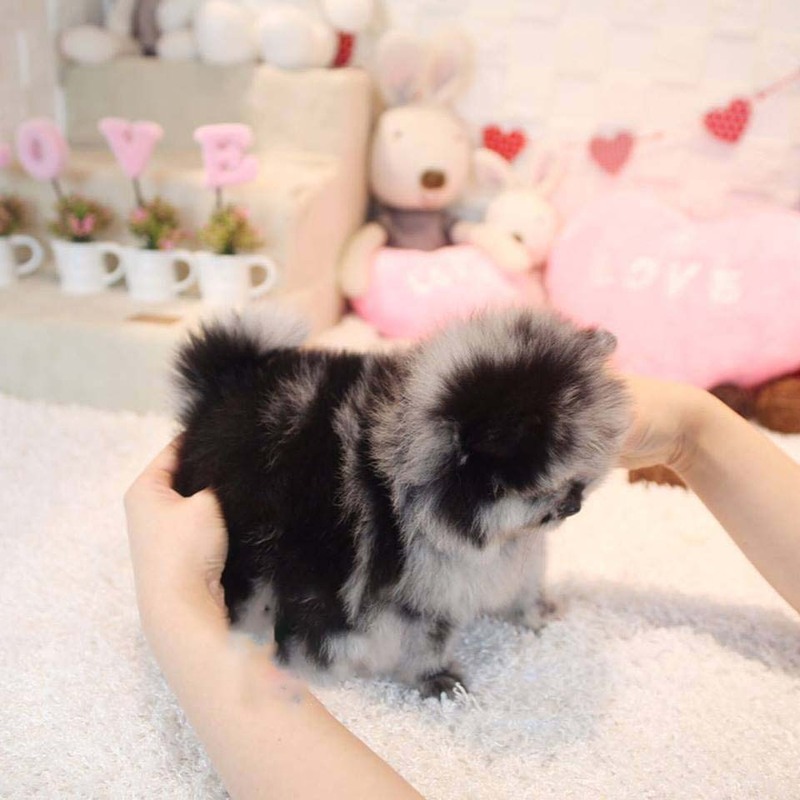 Gorgeous doll-like teacup Pomeranian for sale. 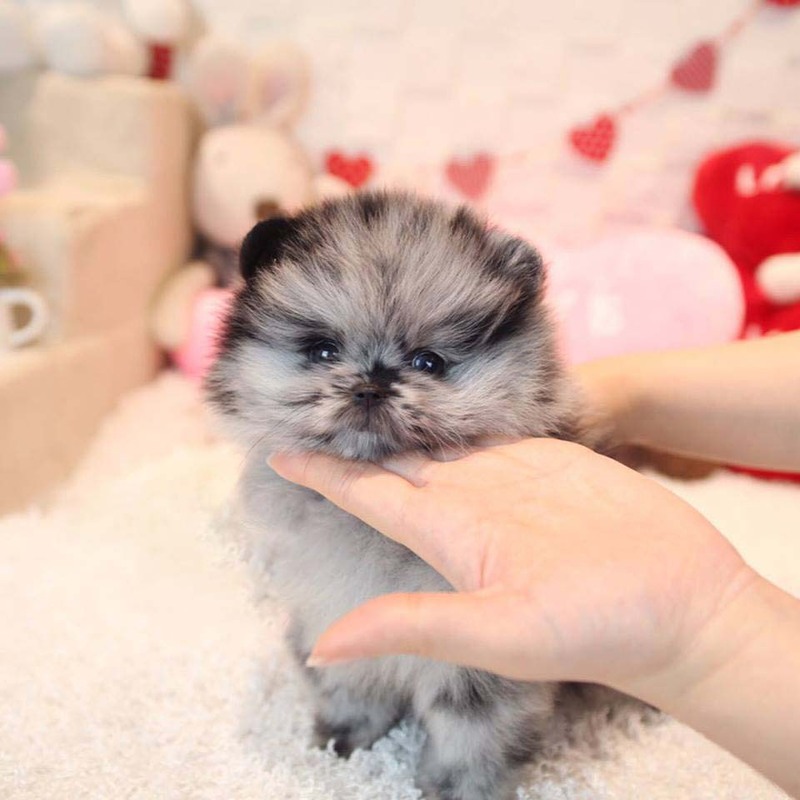 Cute face micro teacup Pomeranian with a short little nose and compact body. 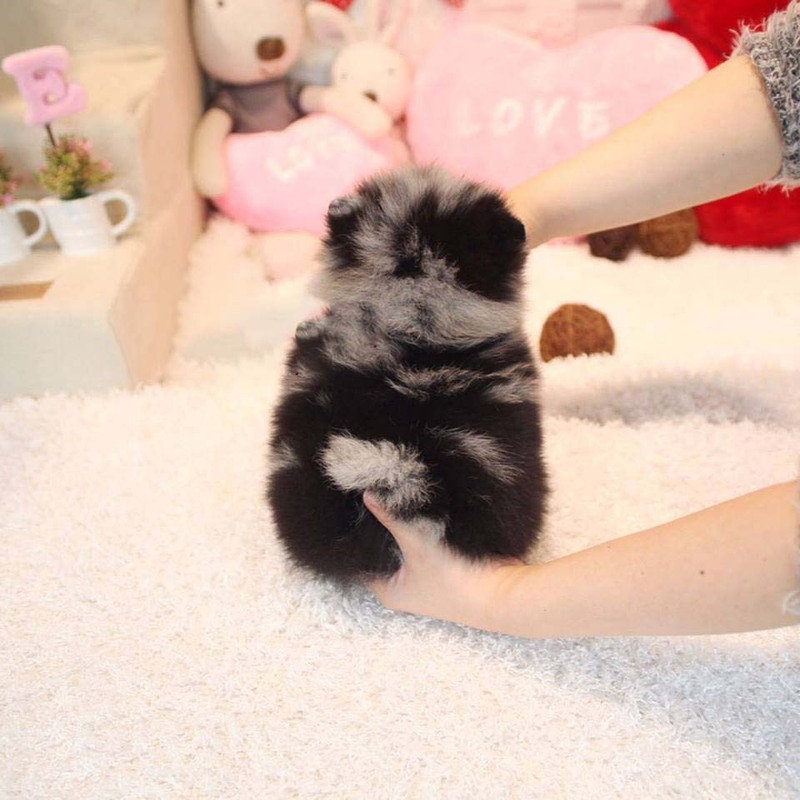 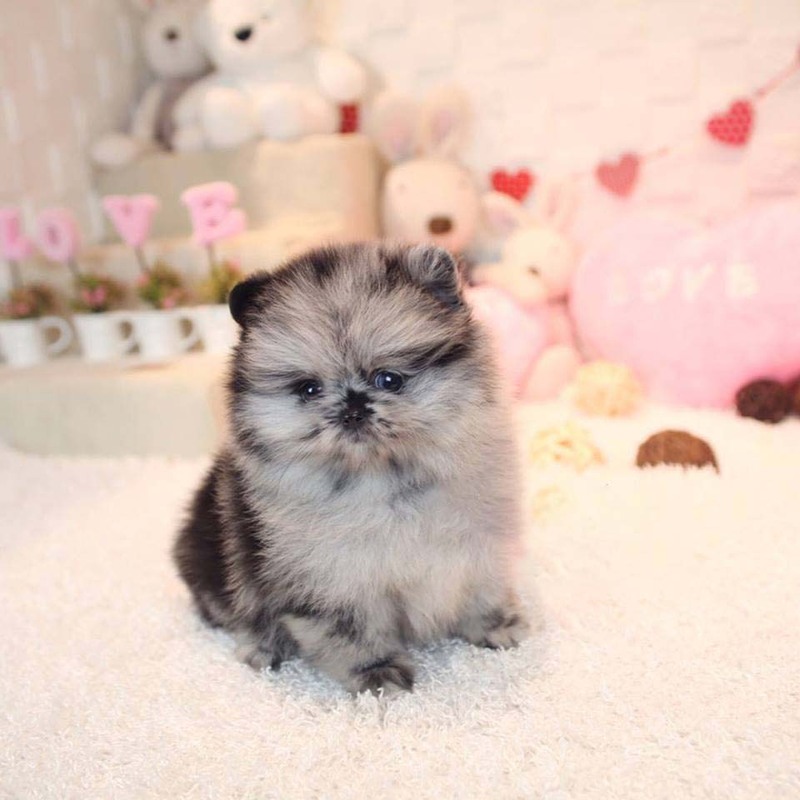 This baby bear type Micro Teacup Pomeranian Puppies has a thick fluffy jet rare blue coat.